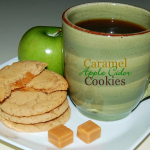 Sweet-tart apple flavored cookies, filled with an ooey, gooey caramel center. Who can resist that? Enjoy with your favorite hot beverage! In a small bowl whisk together flour, baking soda, baking powder and cinnamon. With a hand mixer, cream together butter, sugar, salt and all 10 packets of apple cider drink mix, until light and fluffy. Beat in eggs, one at a time. Add vanilla and mix well. Gradually add flour mixture to butter/egg mixture. Mix until just combined. Refrigerate for about an hour. When you are ready to bake, preheat oven to 350 degrees. Line cookie sheets with parchment paper and unwrap your caramels. Scoop out cookie dough balls about the size of a walnut or rounded tablespoon. Flatten the ball of dough slightly in the palm of your hand. Press the unwrapped caramel into the center of your dough and seal the dough around it, covering it completely. Place on parchment covered cookie sheets 2 inches apart. 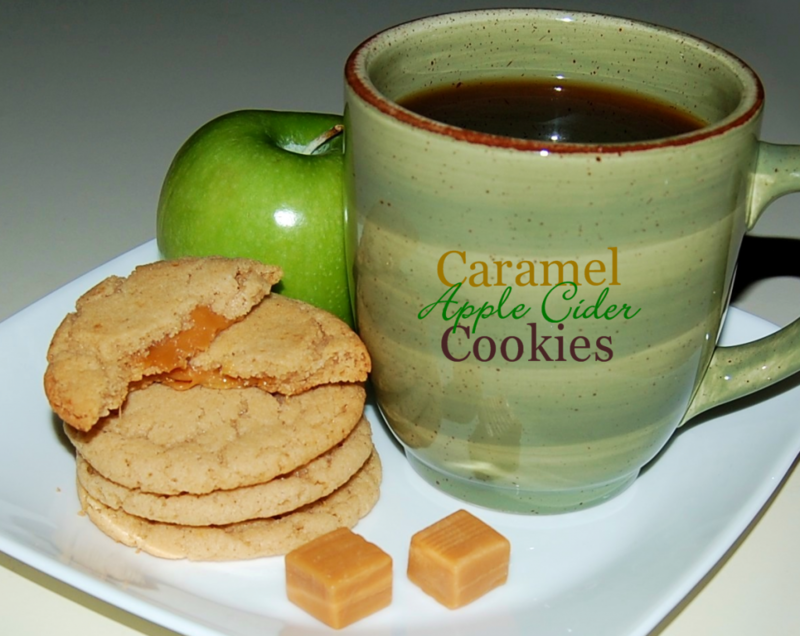 Cook's Note: These cookies are best enjoyed slightly warm, either from sitting atop your favorite hot beverage or micro-waved for a few seconds.